Under the Email Notification Preferences Section, you could enable multiple checkbox for various preferences. 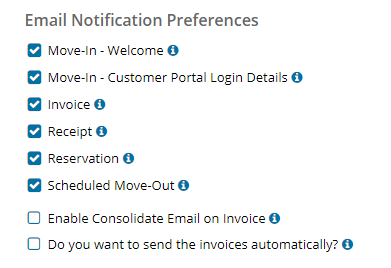 Select the required email notification preferences and click on save button. 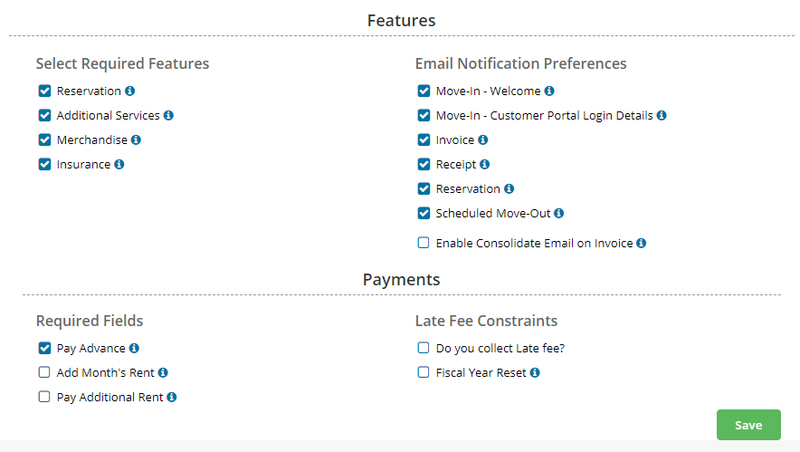 Email notification preferences - Tenants will receive email if this checkbox were enabled.